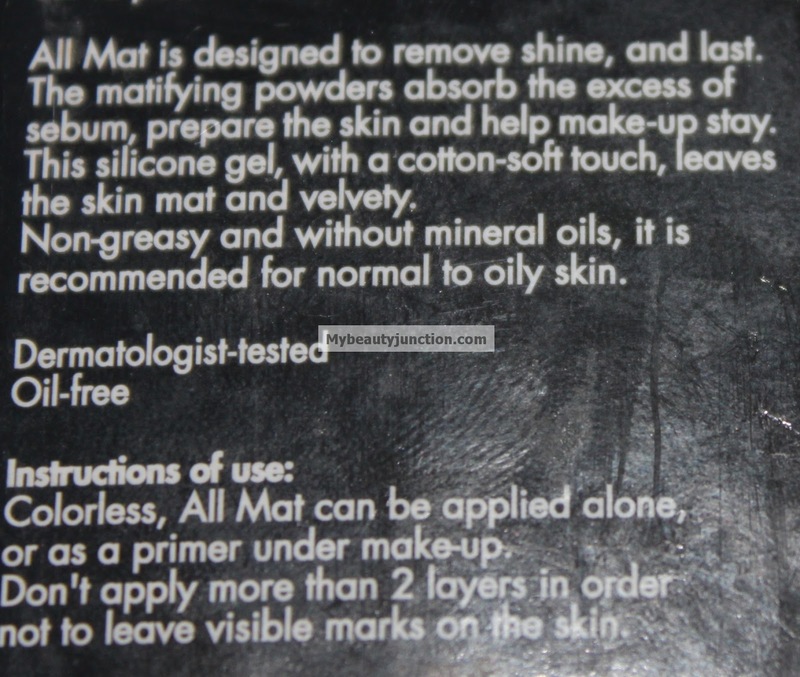 Make Up Forever's All Mat was the second foundation primer I ever used, the first being Porefessional. I bought it because I was attracted by the name "All Mat". I know I keep repeating this, but my facial pores produce more oil than most Middle Eastern countries. Packaging of MUFE All Mat primer: Love. Not a jar. I love glass bottles, as long as I'm not breaking them. And the pump mechanism means I don't have to worry about accidentally sitting/stepping on the tube and emptying it (has happened). Colour: Utterly translucent. Blends out invisibly as you can see. Formula: Thinner than Porefessional, Bourjois Flower Perfection, Estee Lauder and TimeBalm. About the same consistency as YSL Matte Touche. Just thicker than Accessorize and Revlon. Feels very smooth and siliconey, but much less waxy than Clarins Smooth Perfection. Product feels soft, almost as wet as Accessorize and Revlon but not liquid-wet. If you've used TheBalm's Put A Lid On It eye primer, this reminds me of that. Application: Best wait for a bit for it to dry before applying makeup. Less easy to spread than Porefessional, TimeBalm and Bourjois. As easy to spread as Estee Lauder and Accessorize. 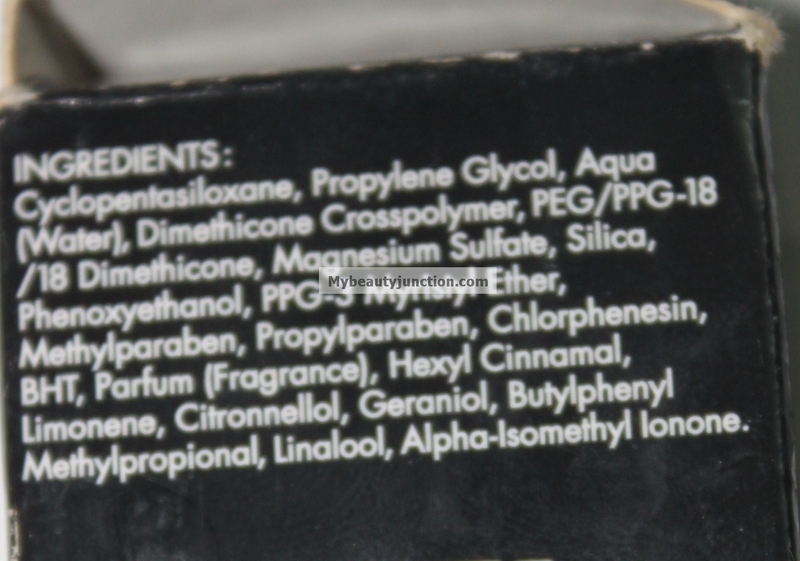 Ingredients: Contains parabens, which is unexpected. Cone-allergic people keep away. Streaking: Sometimes - if you over-apply even slightly, the makeup above will streak. It says not to apply more than two layers but I suggest just the one thin layer! Go very easy. Mattification: Immediate. Keeps my oil-free foundation matte till around noon (from 09:00). Hold: Very good - one-time powder touch-up required during the work day. Holds well in tropical summer outdoors, with help from a blotting sheet or two as required. Would I repurchase? I own two, but prefer TimeBalm, Porefessional and Bourjois. Summary: Happy with everything else. Not a fan of the slight wet feel and the parabens. Reviews of all primers mentioned will follow in due course (some may have been posted).